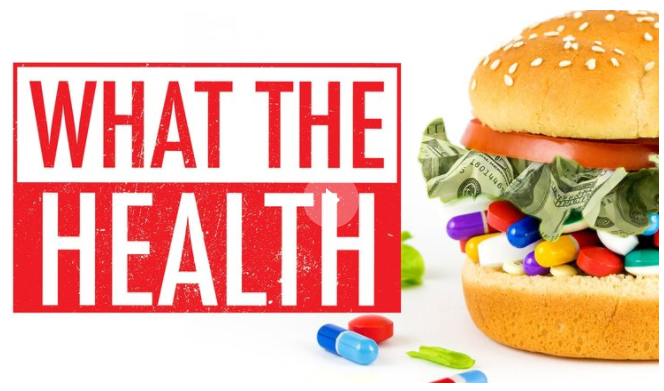 What the Health (click link to see the film) is the groundbreaking follow-up film from the creators of the award winning documentary Cowspiracy. The film follows intrepid filmmaker Kip Andersen as he uncovers the secret to preventing and even reversing chronic diseases – and investigates why the nation’s leading health organizations don’t want us to know about it. With heart disease and cancer the leading causes of death in America, and diabetes at an all-time high, the film reveals possibly the largest health cover-up of our time. With the help of medical doctors, researchers, and consumer advocates, What the Health exposes the collusion and corruption in government and big business that is costing us trillions of healthcare dollars, and keeping us sick.